My mac won't start up. The power comes on but it never chimes and boots up. We had an electrical storm yesterday and it wouldn't start up after that. It is an ooooooold mac. Technician's Assistant: Have you tried a PRAM reset on your Mac (rebooting and holding down Command, Option, P, and R)? Or rebooting in Recovery Mode (holding down Command and R)? I tried the Command R but not the PRAM. The monitor screen is not responding to anything. It is an HP 2009m. The monitor status emblem comes up but then it goes to sleep. I have now tried disconnecting everything and force shut down then hit start button. I also cleaned everything and checked all the plug ins. Still no luck.I see a question below about securely connecting to my other mac to fix it. How do we do that?Posted by JustAnswer at customer's request) Hello. I would like to request the following Expert Service(s) from you: Secure Remote Assistance.Let me know if you need more information, or send me the service offer(s) so we can proceed.I don't understand your requestI need more information on how to give you access to my ailing computer. Also, I don't know what you mean by "send me the service offer(s) so we can proceed." What does that refer to? I have given access to my credit card but I thought I was in the free trial window. Either way, I just need help. If it will be a while, please let me know so I can go do other things.I have to go work on another project. I will check back in periodically.Are you working on this for me??? Is anyone there??? Sorry what model Mac is it? 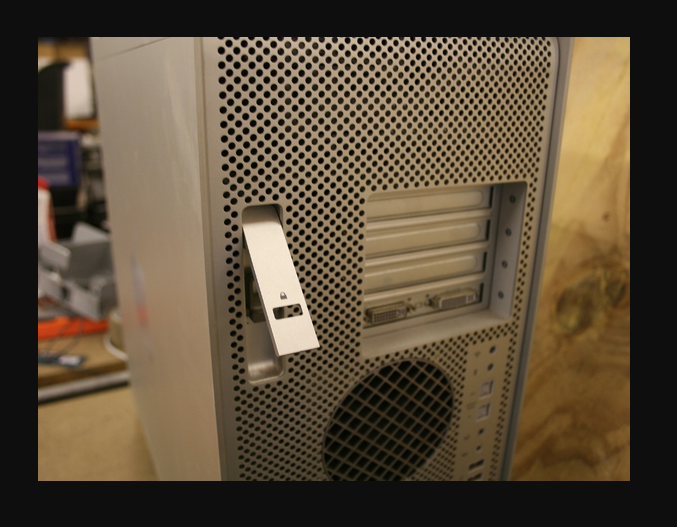 If it is an iMac or Mac Mini unplug it from power for 5 minutes. Then try resetting the PRAM. 2. Locate the following keys on the keyboard: Command, Option, P, and R. You will need them in step 4. 5. Hold the keys down until the computer restarts. Hold the keys down until the computer restarts. I can't help you by remote if your computer won't start. Ok. It seems to start the power but it won't boot up. lights on but no chimes. Not sure what you mean front or back? I think it is about a 2010. Does the whole back come off? or just part of it. I don't see any access on the front.It may actually be older than that. I bought it used and my son-in-law upgraded it at one point with a split hard drive. Not sure when that was. It cannot be a Power PC G5 if it was made in 2010. What does it look like? Sorry, meant to let you know it is a tower. I don't see where there are any screws I can take off. It is the metal titanium tower.It has the metal exterior with a perforated surface and sort of metal curved handles front and back. Should I send you a photo? Just a minute. Let me take a shot. I don't have cell service because I am way out in the woods so I have to use other means to send the information. Thanks. I am working on it. How do I know what is the logic board? Ok. Is the reset labeled "Reset"? I don't see it. Sorry I would need the exact model number. It is very small grey maybe near the RAM slots, it is NOT labeled. If you can find the button that should reset it but it of course ius very possible it was damaged by electricity. I can't diagnose that here. ok. I see something that might be it. Will try it. do I reassemble it and give it a shot or can I try it with it open? Okay. Am plugging it back in. You have been great!!!! Here's hoping!!! Well this is different. My monitor says there is "no source signal".Does that mean the connection is not secure?I still didn't get the "chimes" when I hit the start button. Do you have any startup chime? Which is the video card? You have to remove the bracket that holds them in. ok. I think you are right, there is only one. I can't seem to access the link. The email just shows that you sent something but I can't see the message. I unscrewed the spring-loaded screw but the card won't budge. Is there another connection? I don't see any. I found a latch behind it but I still doesn't want to budge. Let me try again. I am doing that but it is really tight back there!! Do I pull out or up?I actually tried both. Ok. It seems to be trying to loosen up but there is something else that seems to be holding it. Is it possible there is another latch?I am not finding anything but it is still in there really tight. There is a connection in the bottom middle that connects to the logic board in a little box with tiny holes in it. It looks like the connectors that use pins. Do you mean the power from the plug or something else?Is there anything else I can try?I have other power cords. Would it help to try a different one? If you are satisfied, please kindly provide an OK or Above Rating - so I get paid. Keep in mind you can always come back to this page at any time regarding this question for no extra charge. Thanks!! Okay. Thanks for trying. I know a lot more than I did before. Thanks!Where do I record the rating? I don't see it.Thanks!! You did a great job. I appreciate your patience.Hmmm. The link disappeared! You should see it now thanks. And good luck... If you are satisfied, please kindly provide an OK or Above Rating - so I get paid. Also please note we get paid the same no matter how long it takes to solve your issue, so bonuses are GREATLY appreciated. Keep in mind you can always come back to this page at any time regarding this question for no extra charge. Thanks!! Still missing. It disappeared when I sent my last Thanks.Can you re-send the Rating link, please? That works. Thanks so much!! I just upgraded my macbook pro from yosemite to high sierra.